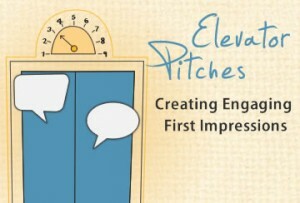 While an elevator pitch needs to be short & to the point, it must also feature a well-defined objective. Every example used and point made must work to complement the point that’s being argued during the pitch. For instance, if a job aspirant starts a discussion with a possible employer during a career fair, then their elevator pitch must rotate around why they’re the best person for the job. Prior to creating an elevator pitch, it’s crucial for you to actively envision the intended goal of the dialogue & formulate an objective from there. The next step must be to explain how you’re going to accomplish your intended goal. For example, a job candidate must highlight the experiences and skills which make him/her the best person for the required position. Most professionals find this part of the elevator pitch quite challenging and end up losing their focus. You want each single step of your elevator pitch to strengthen or support the proposed goal of the talk. Lastly, it’s important that you let your intended prospect know why their role is so important for you to attain your goal. For instance, if the intended objective of your pitch is to acquire an investor for your company, then you want to emphasize how the investor’s assistance can benefit your company. It’s critical that your elevator pitch is specific & crafted in a way such that your target audience knows why they’re invaluable for accomplishing the final goal. What would you say if you were stepping into an elevator with Oprah or someone you wanted to connect with who would transform your business? A media or press kit is an essential part of your marketing strategy as it allows the media to take a look at your body of work instantly so that they can make the decision to run your press release quickly without needing to do much outside research. You want to make your press kit a vital part of your business. It is important these days that your press kit is available both physically as well as electronically. Include any previous articles you have written in the past along with the press kit. This will show instant credibility, help you stand out from the crowd, and showcase your writing style and area of expertise. If you are online, you may want to include some of the positive reviews of your blog as well, showing the relevance and interest of customers. It is always more powerful if a third party expert is talking about you rather than you promoting yourself. If you have come across any articles written about you, add them in your press kit. Make sure your power bio is concise and to the point. In my 12-step power bio complimentary guide, you will find all the details to create a bio that stands out. Offer relevant info about your current field whenever possible. Also, you can add something about your partner, kids, or possibly your interests in a single sentence; however, avoid writing an entire paragraph about them. Pictures are a great way to tell a story and engage readers. Action photos are what the media is looking for to include in articles. Many people believe that a headshot is the most important and, although it is very important, having a shot of you doing what you do in action gains the most attention. A high resolution image of at least 300dpi is required for any print media. Do have an updated headshot as it is needed; however, action photos hands down get picked up and printed more times than a headshot. Professional and compellingly-written press releases are one of the most important elements of a press kit. Add your website URL within the press release for additional reference. These may include quotes from authors, newspapers and magazines, and experts in your industry. Endorsements are great. It is important to include the name of the person, title, & association. Idea endorsements can be powerful; when other experts in the field are agreeing with your point of view, it adds credibility to you! You can also consider creating a customized pocket folder in order to distribute your info, along with the business cards, slip sheets, tri-fold brochure, etc. These can help you position yourself and your brand as an expert in your industry. Include your speaker sheet if you want to attract speaking opportunities. 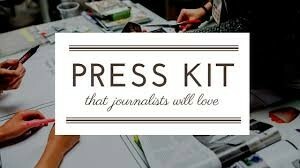 Your goal in creating a suitable press kit must be to offer all of the important info which the media needs if they decide to write about your product/service. Make sure you’ve made the job of the media person easier. A professional, attractive, and informative press kit can really set you apart from the competition. Share your press kit here for a free publicity opportunity right now!! Happy to give feedback upon request. P.S. If you’re enjoying learning how to get free publicity, positioning yourself as an industry expert, and developing your media kit, however you haven’t started your 12-step power bio yet, NOW is the time. 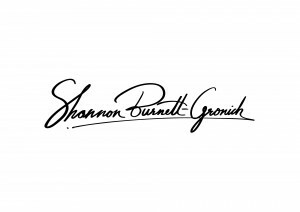 You will love this help I am offering with a step-by-step guide FREE Go to http://shannonburnett.com/training/powerbio2/ to check out NOW you won’t be disappointed! A tagline, or many times called the subject line, is the first impression and the most important part of a press release. This is the very first item the media will see or hear. A relevant & original tagline can grant you an amazing ability to intrigue your audience into reading further. This allows you to express something fascinating about your product or service. You then can use this tagline on almost everything, starting from your website to the letterhead and any other marketing tools you may use. 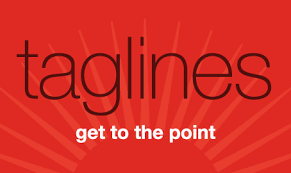 Taglines can help you transform your press release from average to something the media wants! Study the covers of different magazines; check out different TV shows to try to identify specific sayings which catch your attention. Many of the top publications have spent millions in market research to ensure they capture the eyes of their readers. Eliminate anything which may not be the most essential elements to what would get your audience intrigued so that they will want to read more. Preferably, you must try to reduce it to a single key element or at least look to keep it to no more than five to seven words. Numbers are a great way to attract the reader’s eye to a clearly defined topic. You do not include all the details in the press release itself; however, it is a perfect place to showcase what you know and to have the editor wanting to know more. Take your key components into account and give it a go in crafting a tagline for a topic you want to share with the masses. Even using google AdWords to see what your audience is looking for can help. What tagline in your business has worked best for capturing attention? Share taglines below and get feedback. Television is one of the major mediums for marketing and often one of the most challenging to get noticed by. With a clear vision and great story you can get booked. 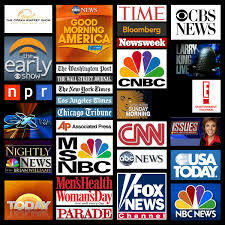 Consider all the relevant TV shows in which you want your news or story to be presented. Start visualizing and creating a list of shows where you would like to see your story. I suggest that you jot down at least 15 to 20. Do your research about the show prior to communicating with them so that you can ensure your story or news is a suitable fit for their major audience & the kind of story or news they typically feature. Whenever possible, look to create a personal connection with journalists, editors, and especially the secretaries and gatekeepers who hold the key to getting you to the people you want to talk with. They will be your greatest allies or they can shut the door before you ever get in-depending on how you build those relationships. Send your story along with a short and to-the-point pitch letter to the producer of your interested TV show in addition to all the required contact info. Pitch videos are encouraged to showcase how you perform in front of the camera. Remember to include why their audience might find your story interesting. During a phone conversation with the show organizers, stay excited, keep it brief, & be aware that there’s a very fine line between pitching your story & being pushy. Most editors fancy a personal pitch as opposed to a typical press release. Ensure that you come up with a strong and catchy subject line for your news or story. After all, just like you, there may be several other people who want to grab a spot on a popular TV show. Make sure you follow up after 7 days if there’s no response from the show organizers. While following up, remember to keep your cool. At best, appreciate the producers & editors for giving their valuable time to consider your news or story. Even if they might not need you at the moment, you might get an unexpected call from them in the near future. Hence, never lose hope. Keep your eye on the goal!!! How have you gotten booked on television? Share a link to your favorite show or interview. That single Mom was me! Most people think that marketing and press releases are something that comes natural to me. Let me share how I got started over a decade ago. As a single mother of two kids, my financial situation was always a struggle. It seemed like no matter how hard I worked, with daycare and the cost of living, at the end of the day I was still broke. I had a profound moment in my life that inspired me to start a business to help others find solutions for their health challenges. I didn’t know how to start a business or run a business, let alone grow a business. I knew that in order for ANY business to be successful, it must market itself to get customers. How would I reach MY market with no money to work with?? Successful marketing always costs money… or so I thought! At that point, I started to really look at the concept of marketing. What is marketing? How much does it cost? What makes a companies marketing successful? I didn’t learn this in school. I committed myself to learning everything I could about marketing because I knew if my business was going to succeed, then getting free press was my only way. I started to look at businesses that had articles published in the newspaper and business people who had been interviewed on the radio. I started studying ways to get free publicity. I started seeing a simple system that anyone could use to expand any marketing budget and get free press. I discovered ANYONE can get publicity, have just have to know how. What marketing are you currently using in your business? Please comment below your experience with publicity.